Does Cannabis Use is Now Legal in USA? Cannabis legalization is sweeping in USA. Though it is still illegal at federal level for any purpose but many states have passed resolutions on legalization of cannabis.33 states allow the medical use of cannabis if recommended by the doctor whereas 13 states have allowed the recreational use of cannabis. At federal level the use of cannabis is illegal but FDA approved some of the drugs made from cannabis for prescription use due to their potential benefits. Marinol, Cesamet, Syndros and Epidiolex are some derivative compounds of cannabis that are approved by FDA. What are the Marijuana facts about Cannabis? Cannabis is generally knows as Marijuana and is a psychoactive substance. It is one of the oldest substance used by the man for recreational and medical purposes. It is also knows as pot, weed, ganja, mary jane etc. Cannabis was first cultivated in India, China and Afghanistan. Its plant can grow 16 feet tall. Its leaves, stem, buds is eaten, used in tea, can be vaporized using e-cigarette etc. Its short term hazards include impairment of thinking and coordination. Long term dangers include lowering of IQ and can cause structural changes in brain. Scientist believe that out of hundreds of marijuana compounds THC (tetrahydrocannbinol) have most psychoactive effects. This drug stimulates the production of brain chemical dopamine which is also called good feel chemical. THC binds with brain and triggers pleasure, pain and time perception. Cannabis is segmented into three broad categories- edibles, flowers and concentrates. Each cannabis product has its own unique packaging needs. Cannabis packaging in USA is highly regulated and varies by states but some common aspects of Cannabis packaging are child-proofing, opaque, expiry date, license and batch numbering. This blooming industry has increased the competition and now producers are seeking high-end packaging to make their product more attractive, retain old customers and allure new customers. One major issue with cannabis branding is that the U.S trademark denies trademark protection rights to brands that sell cannabis. Custom Cannabis Packaging gives an easy access to consumer to enjoy original taste and benefits of products while keeping it protected from breakage and crackling. 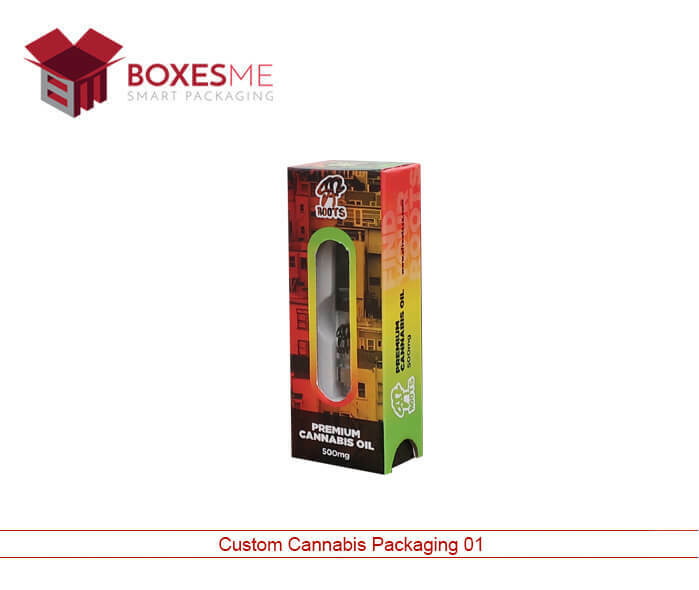 Where You Get Custom Packaging for Cannabis in USA? Packaging is first experience and last advertisement of your product. Due to high competition in this niche custom packaging is the only way to stand out in the market. 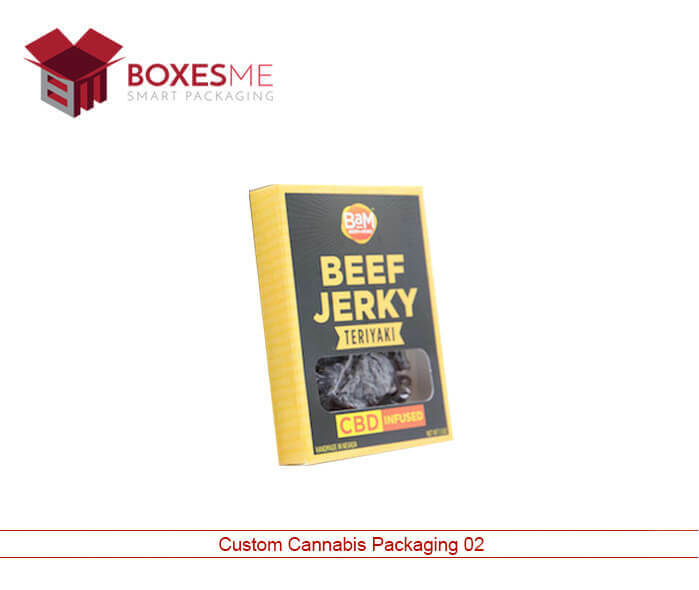 BoxesMe provides unique, dynamic and eye catching packaging to attract customers. 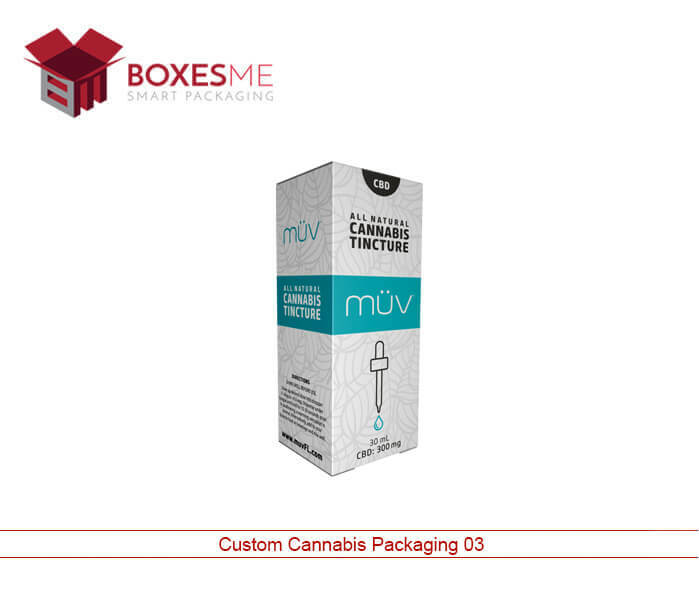 We provide different packaging options for different type of cannabis products so that they are positioned properly and make it easier for customers to use the product. Cannabis Wholesale Packaging is the best yet cheap option to flaunt your products in the market. Our design teams work so hard to bring out best boxes for you. You can further customize the boxes according to your needs and to comply with the FDA regulations.